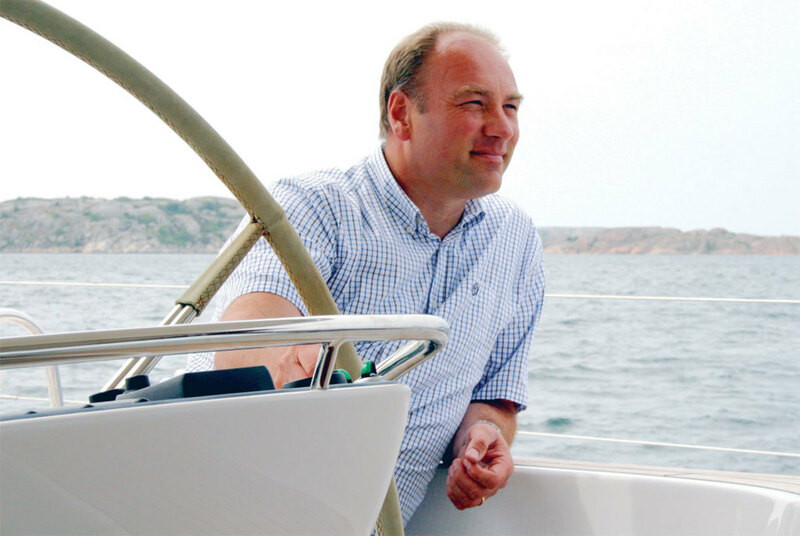 Magnus Rassy is the CEO of Hallberg-Rassy yachts in Sweden and the son of the venerable company’s founder. Hallberg-Rassy has a fascinating family history that Magnus is an integral part of.  Andy Schell sat down with him aboard the flagship HR 64 in Sweden last year to talk about Magnus’ upbringing, his nine boats all called Rasker, Hallberg-Rassy’s surprising racing influence, the sailing culture in Sweden and more. Is it safe to say growing up in this family you’ve been a sailor most of your life? Yes. When I was a kid around the age of 3 or 4 I didn’t draw anything but sailboats. When I had time off from school, I sold Coca-Cola and chocolates to earn money to save up for a boat, and in 1981 I bought my own Laser. Historically, a lot of boats have been built on the island of Orust on Sweden’s west coast, where HR is currently based. Boatbuilding has a very long tradition here, even the Viking boats were built here. When the new road was built toward Varekil maybe 20 years ago, the world’s oldest boat remains were found here in Ellös. They carbon-dated it to 10,000 years ago. How has Hallberg-Rassy evolved over the years? Hallberg-Rassy was originally two different yards. Harry Hallberg, a Swede, started his business in 1943 on a very small scale in Kungsviken, on the same island, building wooden boats. In 1963, he switched to GRP boats and became one of the first GRP builders in Sweden. At the same time, my father learned boatbuilding in Bavaria, southern Germany. He heard that Sweden built nice, big boats, so he wrote a letter to a German yachting magazine for all the names and addresses of the Swedish boat builders. One wrote back, “Yeah, well, please come here and show us what you can do.” He went, without anything, and started building boats in Sweden. By coincidence, the old yard of Mr. Hallberg was for sale, because it had gotten too small for Harry. So he built a new one in Ellös, and his old shed was for sale. My father bought this shed around 1963 and started his business. Hallberg had his new yard here in Ellös. So there was a Hallberg yard and a Rassy yard. Completely separate from each other, competing, with different kinds of boats. Was your father building fiberglass as well? Or just wood? In the beginning just wood, just one-off boats. Someone came and said, “I want a boat about this size and this wide, so low, and a cockpit about this long, and this shape, and a galley there that long, that headroom. Can you build it?” “Yes, I can build it.” And the boat was built, without drawings. In 1967, the year I was born, he started to build his first real design, from the leading Swedish yacht designer at that time, Olle Enderlein. It was the strange combination of a sailing yacht with a windshield that was completely unknown at that time. It was a cruising boat with a center cockpit. A comfortable boat, nice woodwork. Many typical things that you find on the Hallberg-Rassy today. That became the famous Rasmus 35. The Rassy yard got too small. Again by coincidence, Harry Hallberg wanted to retire, so he sold the whole business to my father. Because the name Hallberg was much more well known, especially in North America, the name Hallberg-Rassy was created. 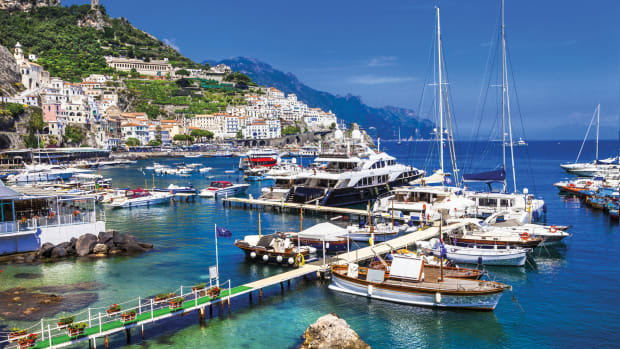 During this time cruising boats everywhere started getting bigger and bigger, the industry really growing in the 1970s, and HR followed suit. What was it like as a teenager being around boats and boatbuilding? 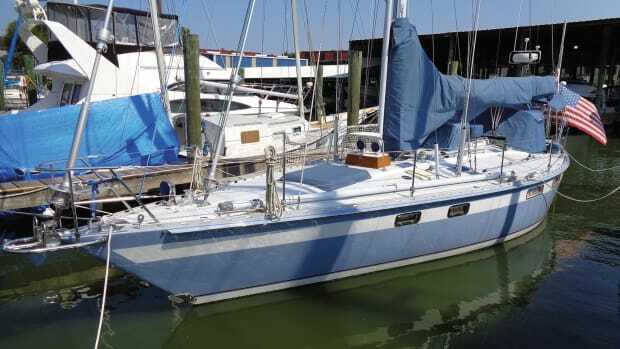 I loved sailing and wanted a boat, but I was not thinking about a Hallberg-Rassy cruising boat. My dream boat was a racing boat, an IOR half-tonner. I had no idea what IOR was. I knew it was a racing rule, but what the rule meant and what to do to make it IOR, I had no clue. But I liked the style of it, so I went home and made a calculation. What would it cost to build a boat like that? It was, of course, far too expensive for a 16-year-old boy. I found a quarter-tonner, also a nice boat, but a bit smaller. You didn’t need an engine, you had a smaller mast which was cheaper, cheaper sails, cheaper winches, cheaper deck gear, less GRP. Everything was cheaper. Less lead, less money. I made a calculation, and it was exactly the amount I had in my bank account. Off of the 4cm drawing? Yes! Then I started drawing what I thought was a nice IOR quarter-tonner. I built a wooden model. When I had the shape I liked, I cut it into pieces, creating the lines to build the boat. That was in the fall of 1983. Between Christmas and New Years, my father and I built this hull in the workshop when everybody else was gone. It was just an empty hull and a deck, we only had a few days. That was the boat I called Rassker, and every boat I’ve had since has had that name. You have a father and a family that build some of the best boats in the world, why not just take one of them? Because I was young and wanted to do everything differently. I dreamt of racing, but there were no sailing clubs or boats to compete against. 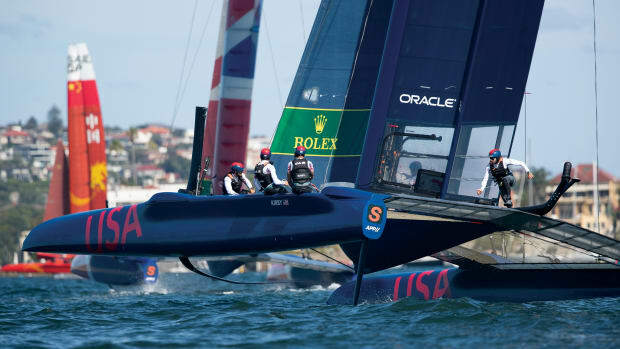 Once you have a keel boat, you can go on your own to other places where there are races. I finished my next boat in 1988. It had berths, an inboard engine and so on. We sailed it in the biggest local race in this area, Tjorn Runt. All the good sailors in the area came. Sweden was trying to make a big America’s Cup challenge, and a lot of really good sailors in Sweden joined together for it. They had two boats, New Sweden, a Swedish boat, and they bought Kookaburra, an Australian boat. Well, we won our class, first out of 100 and sixth overall out of 1000. In seventh overall were the America‘s Cup boats, the best sailors in Sweden, and we beat them by 4 seconds. Not a lot of people know about your racing background and how it influenced Hallberg-Rassy cruising boats. I was thinking about what we could do to combine the best from a racing boat and a typical Hallberg-Rassy. It should be a boat that is well-built, but still nice and quick to sail, comfortable, have a nice wooden interior, good tankage, timeless lines and so on. 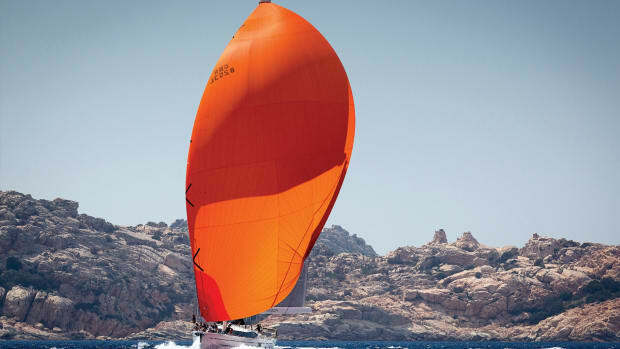 We approached German Frers and asked him to make a design on that spec, which became the Hallberg-Rassy 34. That boat was launched on Friday the 13th of July 1990, without a naming ceremony, with flowers onboard, with women onboard. We did everything wrong. But we were lucky with that boat. It was a trend-setter, it was the first production Hallberg-Rassy with much better sailing performance. As always, you dream about the slightly larger boat, the slightly better boat. Every time I make a list of things that should be better, that should be different. So it kept on going. 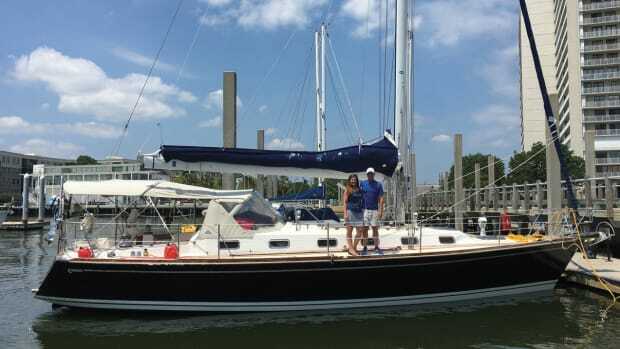 I made a 39-footer, then a 46, a 48, a 54, a 55 and now a 64. We still make the smaller ones. It seems that there’s a very different culture in Sweden when it comes to sailing, as far as it being a more accessible sport? It’s true that there are many boats in Sweden. If you compare the number of boats to the number of people in the country, Sweden ranks at the top of the world alongside New Zealand, Finland and Norway. We have a long coastline, a lot of lakes, lots of nice coastal areas, and there are so many old boats around that you can buy a pretty good boat for almost no money. 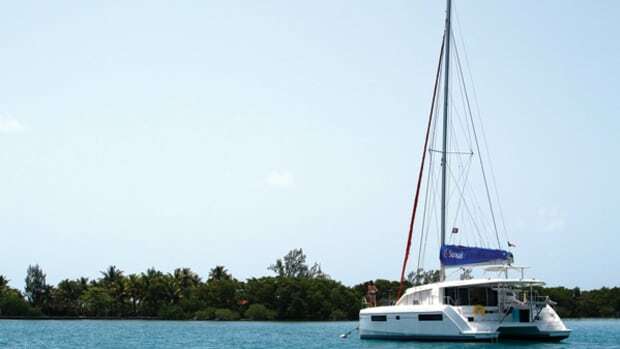 For less than $1,000 US you can get a boat that you can live on, sleep on and sail on. Well, if you’re cruising in Sweden, of course, a Hallberg-Rassy! The more you cruise, the more you realize that the Swedish west coast is the best area to cruise in the world. The full hour-long interview with Magnus Rassy is available online as a free audio podcast, hosted by Andy Schell. 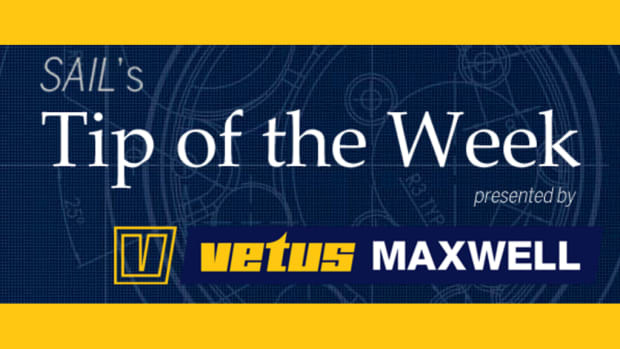 Just search “On the Wind,” on iTunes & Google Play, or visit 59-north.com/onthewind.